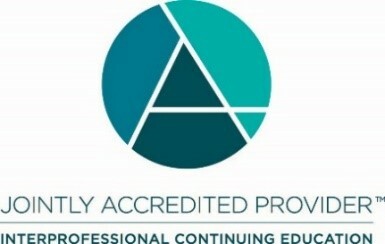 This CE activity has been designed to change learner competence and focuses on the American Board of Medical Specialities area of systems-based practice, Institute of Medicine areas of patient-centered care, working in interdisciplinary teams, and using information technology, and the Interprofessional and Nursing areas of roles/responsibilities and interprofessional communication. Clinical informaticists make key decisions during the electronic health record implementation and maintenance process that can affect the safety of nurses and patients. To lead the maintenance of an electronic health record, clinical informaticists need knowledge about key workflows, the language to support key tools, and how to manage the health of a patient population through reports. The purpose of this training is to provide an overview of the integrated clinical health system and key functionality commonly used by clinicians. We will review the process and terminology of building a variety of integrated EpicCare tools, including areas that drive reporting. This program is designed to meet the needs of clinicians in the role of informatics who are using EpicCare Ambulatory, EpicCare ED and EpicCare Inpatient in their daily practice. *Days 1-3 will incorporate two 15-minute breaks, in addition to the scheduled lunch hour. Day 4 will incorporate one 15-minute break. The University of Wisconsin-Madison ICEP designates this live activity for a maximum of 22.75 AMA PRA Category 1 Credit(s)ä. Physicians should claim only the credit commensurate with the extent of their participation in the activity. The University of Wisconsin–Madison ICEP designates this live activity for a maximum of 22.75 ANCC and Iowa contact hours. The University of Wisconsin–Madison ICEP, as a member of the University Professional & Continuing Education Association (UPCEA), authorizes this program for 2.275 CEUs or 22.75 hours. It is the policy of the University of Wisconsin–Madison Interprofessional Continuing Education Partnership (ICEP) that the faculty, authors, planners, and other persons who may influence content of this continuing education (CE) activity disclose all relevant financial relationships with commercial interests* in order to allow CE staff to identify and resolve any potential conflicts of interest. Faculty must also disclose any planned discussion of unlabeled/unapproved uses of drugs or devices during their presentation. For this educational activity all conflicts of interest have been resolved and detailed disclosures are listed on Faculty page. *The ACCME defines a commercial interest as any entity producing, marketing, re-selling, or distributing health care goods or services consumed by, or used on, patients. The University of Wisconsin-Madison ICEP does not consider providers of clinical service directly to patients to be a commercial interest.